A few weeks back, McDonald’s broke the news that it’s adding a permanent new chicken offering to its menu - the Premium McWraps - as part of the company's broader effort to enhance menu offerings to meet customers’ evolving taste preferences. The tortilla-wrapped entrée features vegetables, grilled or crispy chicken breast along with a signature sauce served in a convenient hand-held and mess-free package (which is great for eating on the go - or in class). So naturally, I picked up a few of these $4.00 wrappies through out my week to keep me awake as I learn about the history of interest rates, the evolution of retail, and investing in family business - gotta love those lunch time classes! My lunch on Monday was the Chicken & Ranch. 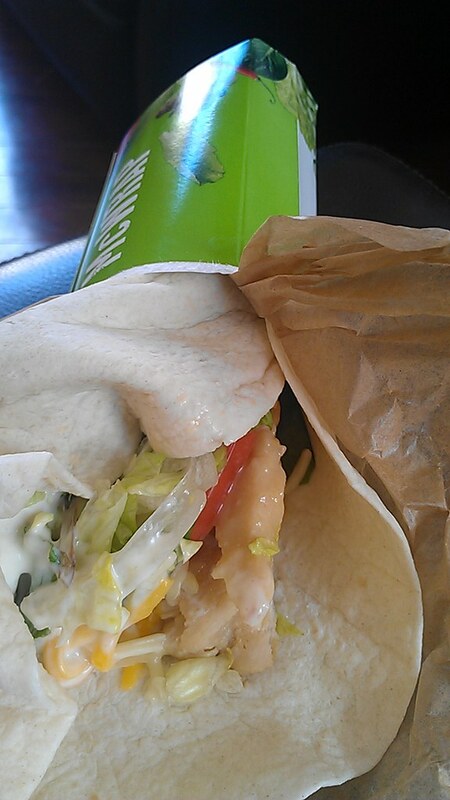 I got mine in grilled (trying to start the week on a healthy note), with tomato, cucumber slices, spring greens, shredded lettuce and cheddar jack cheese, drizzled with rice vinegar and buttermilk ranch sauce wrapped in a flour tortilla. Pro: this was a real meal deal - not to be confused with the tiny snack wraps of yesteryear. Con: this was an unsatisfying real meal deal, as I thought the ranch dressing was way too aggressively ladled on and over powered to the cheese and chicken flavor. A highly disappointing lunch during a highly boring class - what a way to start the week. 430 calories for grilled, 590 calories for crispy. Luckily, I fared better the next day with the Grilled Chicken and Bacon - probably because I requested it without the creamy garlic sauce and used good old fashioned ketchup instead. The bacon was crispy and I could actually taste the grilled chicken this time (quite juicy with a nice smoky flavor). 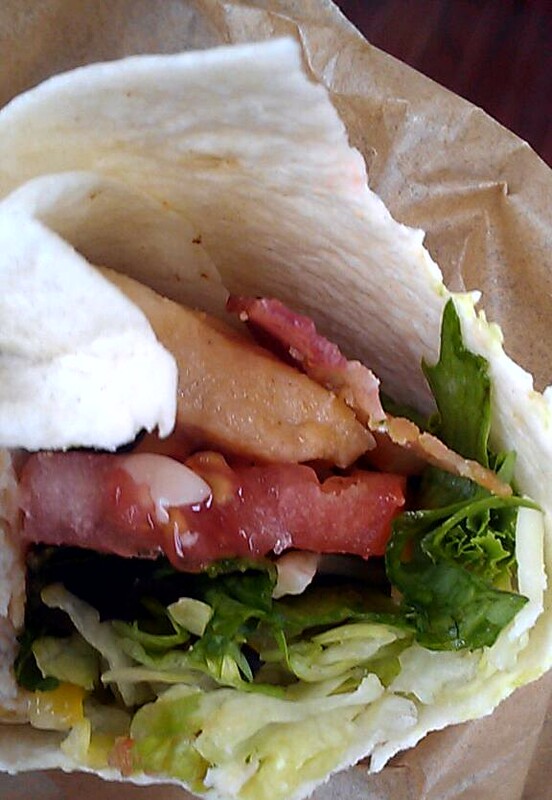 The wrap kept my hunger pains away, my attention on the class lecture and didn't make me feel fatty afterwards. 440 calories for grilled, 600 calories for crispy. Saving the best for my longest class day, the Sweet Chili Chicken came in first our of the three (note, I requested it without the creamy garlic sauce again). The sweet chili really hit the spot - and thankfully, wasn't that spicy. And although more caloric, I splurged and got the crispy chicken (because everything tastes better fried). Hey, sometimes you just gotta treat yo'self. 360 calories for grilled, 520 calories for crispy. McDonald's wants one financefoodie.com's reader to try all 6 versions of the Premium McWraps, along with a few side items to boot! One lucky reader will win a $20 Arch Card and six (6) coupons good for a free Premium McWrap! 1. REQUIRED: In my comments section, tell me what wrap you are most excited to try. Also please include your email address so I can contact you if you win! Contest ends Friday, April 5, 2013 at 5pm EST. Winners will be chosen via random integer generator on random.org announced on the financefoodie.com site shortly afterwards!! I would go for the Ranch wrap. With crispy chicken! Chicken ranch would be the one I would try first.but plan to try all. I would like to try the Chicken and Ranch. 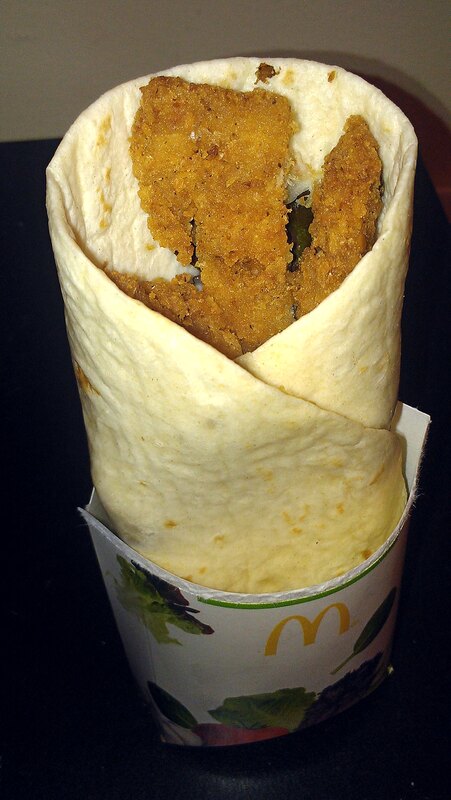 I'm most excited to try the Sweet Chili Crispy Chicken wrap. My email is masears2001@yahoo.com.